Recently, information is being used to enhance supporting technologies in conference management systems, which greatly improves the efficiency of conference organizing affairs and promotes extensive communication and cooperation between researchers. The on-line conferencing ba (OLCB) serves as a conference management system and provides an environment for knowledge creation. CorMap analysis is a technique for qualitative meta-synthesis, which can carry out series mining from qualitative data. The early OLCB system pushes the visualized results of CorMap analysis to users by images. In this paper, the authors introduce an interactive CorMap analysis to enhance the OLCB system, which enables users to conduct the conference mining process directly and acquire more clear and structured information. The working process of interactive CorMap analysis is shown with the application of the 7th International Workshop on Meta-synthesis and Complex Systems (MCS’2007). Japanese Professor Nonaka has once adopted a Japanese word ba, to refer to a shared space which is of physical, virtual or even mental context, to achieve the spiral SECI process of knowledge conversion. An academic conference is a platform for information and knowledge exchange, through which the organizer actually provides a physical ba for dynamic knowledge sharing and new idea emergence. In adoption of the idea of ba, the on-line conferencing ba (OLCB) is designed for conferecing affairs as a supplementary virtual platform which is unhindered by time and space. OCLB engages in idea exchange, knowledge sharing and inspiration emergence by integrating the qualitative meta-synthesis technologies, CorMap and iView to conduct the conference mining for hidden patterns and setting up a forum for users discussion. 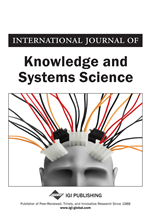 CorMap and iView analysis are proposed by meta-synthesis and knowledge science research group in Academy of Mathematics and Systems Science, Chinese Academy of Sciences, have been applied to textual data analysis for diverse problems, such as group discussion process analysis, conference mining, experts’ knowledge essence elicitation and social psychological analysis, etc. (Tang, 2007, 2008, 2009; Tang & Zhang, 2007; Tang, Zhang, & Wang, 2008). After carrying out both CorMap and iView analysis toward the fundamental conference data, OLCB pushes the visualized mining results in pictures to users.